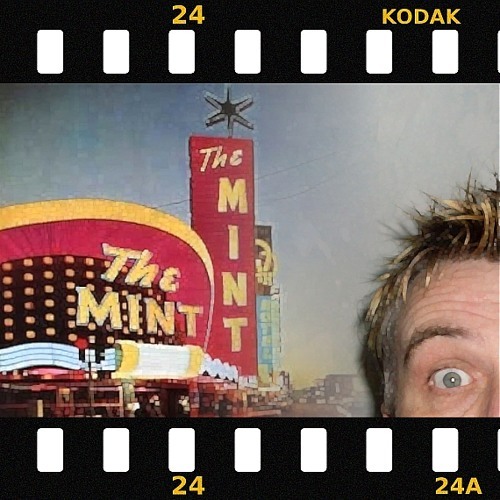 Minty The Pedantic Pedestrian is a graphic artist and web designer by persuasion, an experimental electronic musician and comedic wordsmith by inclination. He has been doing THIS SORT OF THING for more years than you'd care to believe... in fact, since before the internet was merely a twinkle in somebody's eye. Minty's more obvious musical influences include Eno (and/or Fripp), Krautrock (particularly Faust and Can), Frank Zappa, pre-DSOTM Pink Floyd, '70s dub, Miles Davis (especially in his Electric Voodoo Space Funk period), Mahler, Stravinsky, not to mention the whole gamut of '70s Prog-Rock (I told you NOT to mention it!) The following people have testified that The Pedantic Pedestrian is a dirty collaborator: Rabbit Show Reject, Evil Demented Bunny, Rabbithole Sam (The Glass Virgins), Rabid Sow Reject, Mervyn Purviss (Absolute Zero), Johnson's Gridling Band, The Future of Rock &amp; Roll?, Teaset Body Review, Blue Wails On Blit Street, TV By Tears, Ken Dead &amp; The Dodgy Men, Art Ratz, The Christmas Trees, The Male La La's, Stevie Chunder &amp; The Fake Vegetable Reichstag (Magic Cow), The Unconventional Choir of Smelly Nurses, The Darkening Scale (Renaldo &amp; The Loaf / The Music Is Taboo), Purblind Rabbit, JoXfield ProjeX, DJ Ben Espiritu, CC:PP (Cries of Calliope), Cloudland Blue Quartet, Tim Webb (Net Prophet)... and anyone else who'll have me!